Most of us jump at the opportunity to see a species for the first time, especially if it’s a bird uncommon to our region. The key is knowing the what, when and where. My last column referred to the online community known as IBET, which stands for Illinois Birders Exchanging Thoughts. It’s a free e-mail “listserv” that alerts birders to notable sightings and other useful information. If you are not already a user, make a New Year’s resolution to check it out. I owe at least 10 birds on my life list to IBET, the latest being the sage thrasher that visited Chicago in November. I didn’t pursue that bird on the first day it was reported but thanks to IBET I knew its daily status. Five days after the initial sighting I made the 35-mile trip down to Montrose beach, knowing that my chances of finding the thrasher were still very good. In our hobby, information like that is gold. As of last month, IBET had 1,927 registered members. Sue Friscia, a birder from Alsip, founded the network on AOL in 1995 and still serves as list administrator. IBET started with about 40 participants who, like Friscia, were keen on knowing what birds were visiting the area on a daily basis and sharing information about rare sightings. Before e-mail, obsessed birders gathered such intelligence via telephone “hot lines” that played recorded messages. The Internet is a lot more efficient! Today, IBET is among the top 10 Yahoo Groups for birding in the country. News travels quickly on the network, often leading to spur-of-the-moment birding opportunities that are too good to pass up. Years ago, when I worked in downtown Chicago, I noticed a fresh e-mail about a least bittern in Lincoln Park. The secretive marsh-dwelling species had been spotted about an hour earlier. As my forehead began to sweat, I grabbed my binoculars and dashed out the door to catch a northbound bus. I was on the scene 20 minutes later and, fortunately, so was the bird—in plain view, perched on a low branch just above the water at North Pond. It’s still the only least bittern I’ve ever seen, and a posting on IBET made it possible. In recent weeks, IBET subscribers have been treated to some eyebrow-raising reports from the Chicago lakefront. 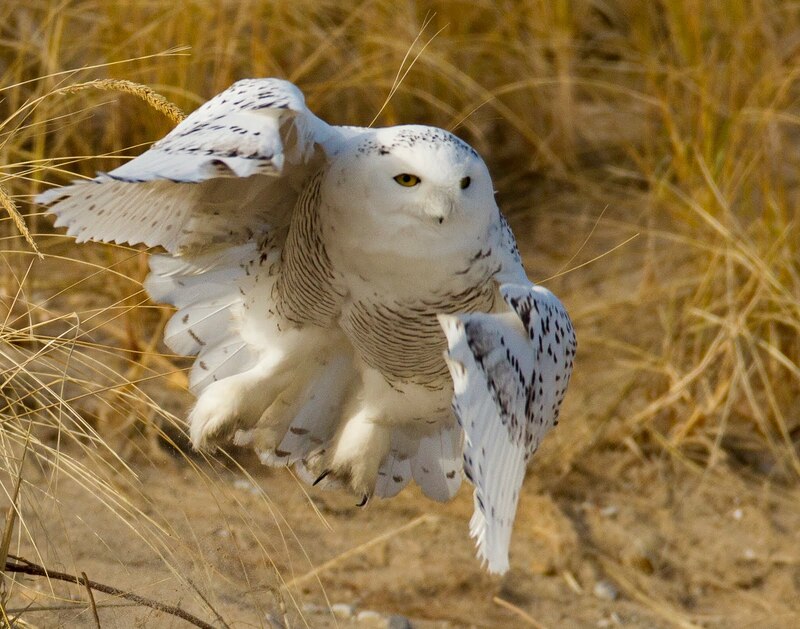 Want to see a snowy owl? Several have been seen and IBET will guide you to them. Even if you can’t make the trip you can enjoy the amazing photographs that IBET users post on a regular basis—the next best thing to being there! On December 27, a male black-throated blue warbler was discovered in Millennium Park. IBET lit up like a Christmas tree. To see that species in December in Chicago was perhaps a once-in-a-lifetime opportunity. Thanks to IBET, you got your chance. Details on long-tailed duck and harlequin duck sightings were other notable late-December postings from IBETers who patrol the Chicago lakefront. The network is valuable in other ways, too. It’s a place to ask questions and get answers, and a place to share birding stories that might otherwise go untold. At any given time, a spirited discussion might break out on some issue or topic. A recent string covered the ethics of owl watching, followed by a debate over the use of recorded bird calls in the field. If a story about birds or birding appears in a major newspaper, chances are somebody will post a link on IBET. I always appreciate that! As a learning tool, IBET was at its best in December when dozens of postings addressed the “mystery hummingbird” visiting a feeder in Oak Park. Determining the bird’s true identity proved to be a fascinating “real science” case study and IBET users enjoyed daily updates. First the area’s top birders (and others from around the country) shared their expertise and opinions based on observations and photos. Then we followed the progress of a CSI-style investigation by ornithologists. Ultimately, the Field Museum’s DNA studies proved the rare visitor to be a rufous hummingbird, not a broad-tailed hummingbird as most birders initially believed. The number of daily messages posted to IBET varies greatly by season. During the peak of spring and fall migration, when waves of non-resident birds are moving through the region, the network may produce 25 or more postings a day. Most are by Chicago-area birders but downstate birders often chime in, too. Postings from DuPage and Kane Counties are frequent. Information overload is always a danger but if you open just a fraction of the messages you’ll get a good sense of what birds to watch for at different times throughout the year—and what to expect in your backyard tomorrow. In my view, as a learning aid and just for fun, IBET is well worth your time. It succeeds every day in its mission to promote the joy of birding. To join the list, send an e-mail to ILbirds-subscribe@yahoogroups.com and mention this column. You’ll receive a reply and then follow the instructions. (Note: “ILbirds” is the group’s formal name for registration purposes but users call it IBET.) You can also view the latest postings by visiting http://groups.yahoo.com/group/ILbirds/. Copyright 2012 by Jeff Reiter. All rights reserved.